A few weeks ago we wrote a post where everyone here at TechnoBuffalo defined the term Fanboy. You guys had some great definitions of your own to contribute, so we’ve decided to keep the TechnoBuffalo Defines magic going, and offer some prizes in the process! 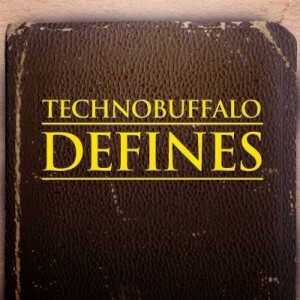 TechnoBuffalo Defines is a new weekly this here on the range, where every Tuesday we give you guys a new tech term to define. You give us your best shot at a definition in the comments, and then the TechnoBuffalo staff picks our favorites from the mix, posts them on Thursdays as a poll, and let you all vote for who you think did the best job of explaining the term to everyone else. Google recently announced “+1” functionality for Google searches. The service allows you to give any search result a “+1,” that will then be shared with your friends when they perform searches. So, what does +1 mean? We looked through the responses and picked these as out favorites. Now it’s your time to decide! You have until 12am Sunday to vote for your favorite. Choice 2 +1 [Pr. pluhs wuhn] v. : The google web-search equivalent of “liking” something on facebook. Adam: Did you “+1” my website on google? Voting starts now, and ends at 11:59pm PST Sunday. We’ll announce the winner on Tuesday, in a new TechnoBuffalo Defines post!